The majority of people tend to take a break on lawn care and maintenance during the cold, winter months. However, putting together a winter lawn maintenance routine will bring great rewards when spring makes its debut. Here are a few tips to take your lawn to the next level and produce a show-stopper in the spring. In order to get your grass ready for winter weather, you should start off by slowly lowering your cutting base a little at a time each time you mow. Choosing to gradually cut your grass shorter and shorter will keep from shocking the grass with a short winter cut. How short should your last cut be? It really depends on the type of grass you have. For warm season grasses, cut down to at least one-inch, and for cool season grasses, cut down to at least two-inches. Whether your lawn is large or small, Spartan Mowers are perfect for those aiming for an all around, even cut. Spartan Mowers feature a turn-dial deck height adjustment along with a foot assist easy-lift deck, which is incredibly convenient to change while mowing. While a thick layer of leaves and debris will smother your lawn by blocking out light and air and possibly cause parts to die off, it is okay to leave a little mulch on your lawn for the winter. If done correctly, mulch and clippings can add much needed nitrogen to the soil over the winter months. In addition to picking up layers of leaves and big branches, you should also make sure that items such as toys, lawn furniture, and lawn accessories are cleared off of the lawn for the winter. Large, heavy items such as toys left on your lawn during extreme cold weather and snow can cause thin brown patches when grass begins to grow in the spring. Items and longer grass lengths can also create a perfect nesting scenario for mice and other rodents to burrow. These are just a few tips to get you started on your winter lawn maintenance. A little work during the cooling months will pay off in huge rewards in the spring. 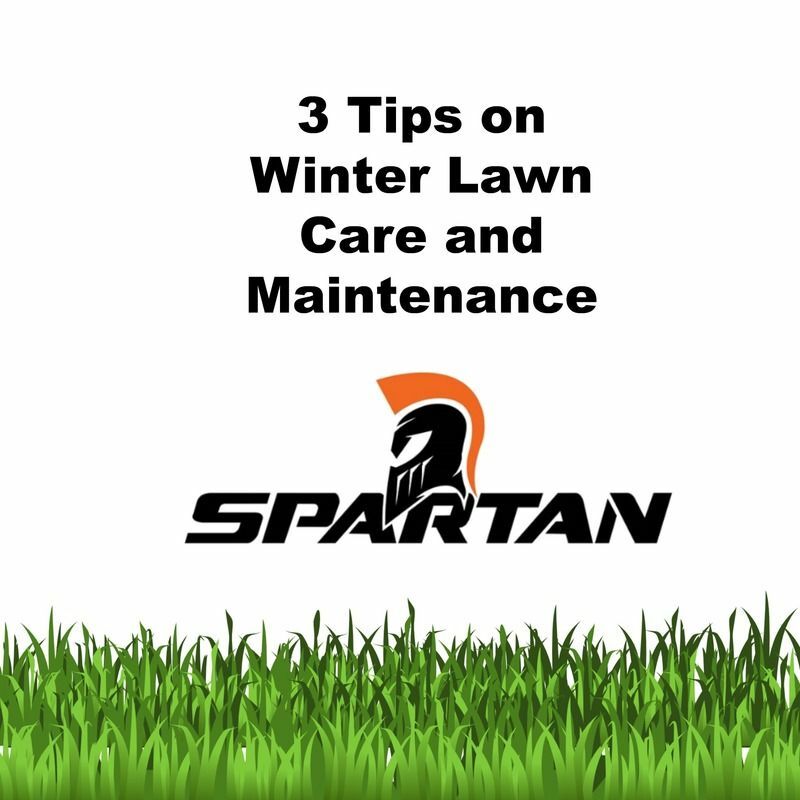 For more information and tips to getting your lawn in prime condition, download our Spartan Mowing Guide. It can be difficult buying gifts for the person who has everything. If that certain someone enjoys making their lawn a masterpiece, then a Spartan Mower is PERFECT! Check out our latest additions, the RZ Series, the SRT Limited Mark Martin Edition, and our Heavy Duty Cat Diesel. Find us on Facebook and LIKE our page to stay updated on the latest Spartan news.